Recreational opportunities abound on our new sidewalk and boardwalk at our living shoreline. 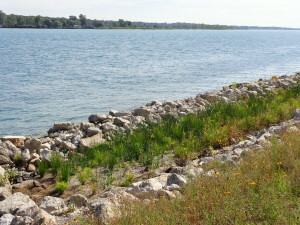 Visit our award-winning living shoreline! Freighter-watch, fish or exercise along our beautiful, environmentally-friendly living shoreline! environment in which fish can congregate. Aquatic plants and cobble help to create a fish spawning habitat. 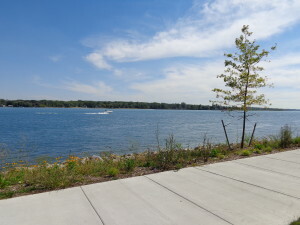 In addition to the living shoreline, a new, composite decking boardwalk and concrete sidewalk wind through a menagerie of plants native to Michigan. The living shoreline and boardwalk are located across from Marysville Golf Course on River Road. 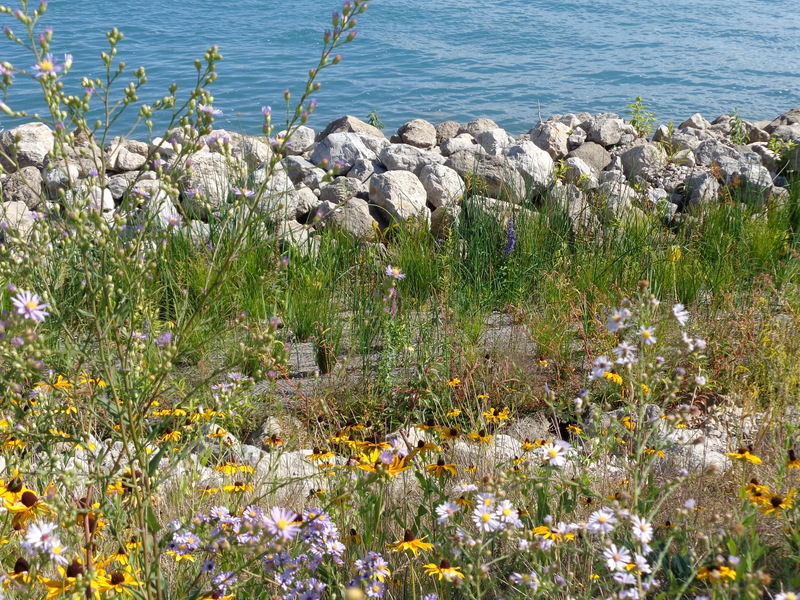 Many thanks to our engineering consultants JF CardnoNew and Fleis and VandenBrink Engineering, Inc. for coordinating the project and to the U.S. Environmental Protection Agency’s Great Lakes Restorative Initiative for its generous grant to help us improve the health of the Great Lakes. Click here for more information and to see before and after pictures of the project. THOSE AREN’T WEEDS YOU SEE ALONG OUR BOARDWALK! These native Michigan plants were purposefully grown here. Our riverbank would have looked like this 150 years ago. 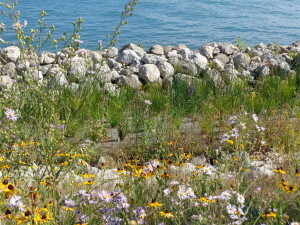 Native prairie and wetland plants dot the shoreline. Native plantings will help secure our riverbank, provide storm water filtration and encourage aquatic life and insect and small mammal activities. Click here for a guide and picture tour of our native Michigan plantings.